Email Sender From Postcron, Your Email Marketing Tool! 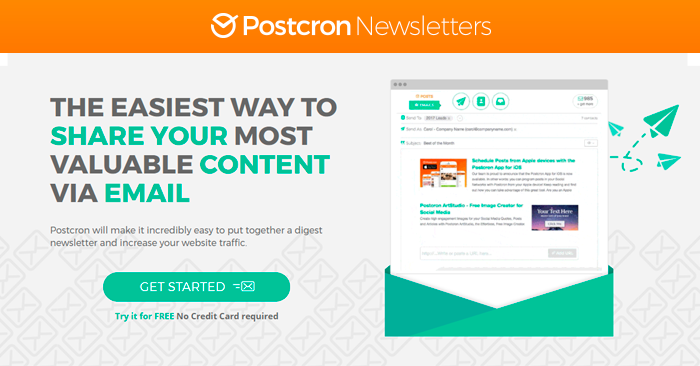 Today we present… Newsletters From Postcron, Your Email Marketing Tool! The Postcron team is proud to present Email Sender, our new tool that allows you to create Email Marketing campaigns! This online application is light and very easy to use so you can create and optimize your newsletters, promotions, news and more. Email Sender is the solution for users who need to reach their audience in many ways. 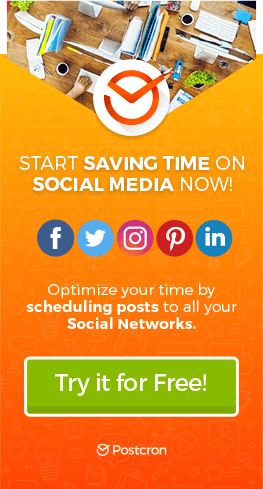 So, this tool is added to our suite of apps to Schedule Posts and create images for Social Networks. And what´s even better: you can use it with Postcron or separately! Why Should You Create Email Marketing Campaigns As Part Of Your Online Marketing Strategy? Contrary to what people may think, Email Marketing is at its best right now, and everything indicates that this type of communication is here to stay! 95% of online consumers have an email account. 91% of the consumers check their emails at least once a day by using their mobile devices, you know the huge potential this strategy has. sending promotional emails generates 50% more sales. And if this was not enough, in addition to the benefits above, this strategy helps you consolidate your relationship with your target audience. Email campaigns are the best way to reach your audience when they are not in front of a computer. Email Marketing is an ideal method to promote your blog publications. Campaigns via email blend in perfectly with other marketing strategies. For example, they can help you disclose the time of your next webinar, the inauguration of your new store, the launch of your website, your discount days and much more. With Postcron’s Email Sender, you can create and send emails ridiculously easy. You can create an email that will look very professional and entice those who receive it so they want to know more about you and your products. You don´t need to be an email marketing specialist. With Postcron’s Email Sender you can feel like one and obtain excellent results! The first thing you must do is log in to Postcron’s Email Sender, click on the contact icon and begin to add subscribers. Upload a CSV file from your email address list. TIP: Email Sender recognizes columns, meaning, it doesn’t matter what column your emails are in, Email Sender recognizes the column and includes them in the recipient’s list. Add manually each email address. The second step consists in creating an email sender, which is the name shown to those who receive your email. To do this you need to click on the menu “Send As” and add a name and an email address. To finish, press the “Save” button. TIP: you can add several senders and choose the one that best adapts to each mailing. Now that you have a subscriber list and a sender, you are ready to create your Email Marketing mailing. COPY and PASTE the content links you wish to send. TIP: You can share content from your website or third party websitesTIP, TIP: You can edit the design of your email, changing the content block alignment, changing the default image, adding a title (change the color, font, size…)Extra! If you want, you can write a personalized text in your email. You are Ready! Send your mailing or newsletter, or schedule it for the day and time you want! That is all! Quite easy, right? We hope you take advantage of Postcron’s Email Sender and create daily Email Marketing campaigns. Please let us know how it went!